Wow! This Shopkins craze is unbelievable! Kids are absolutely crazy about these adorable grocery store item characters and they absolutely open the door for some fantastic and colorful birthday parties. 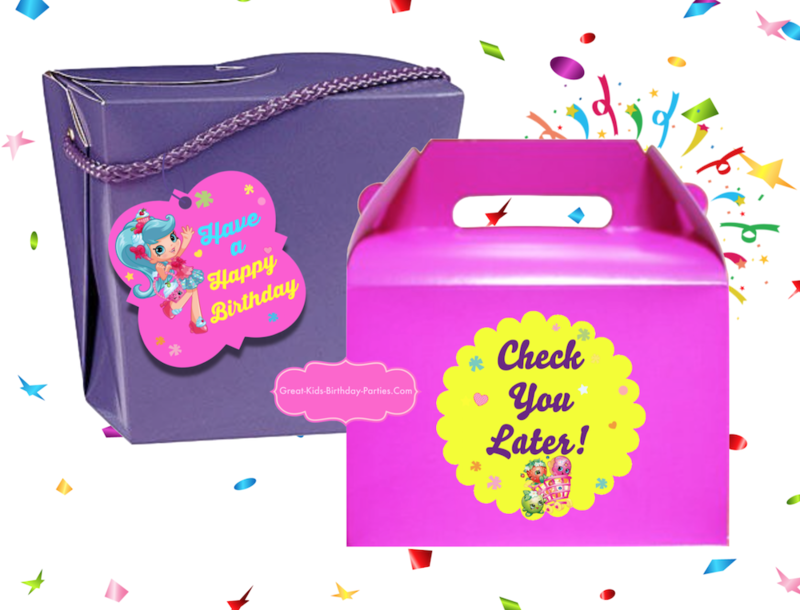 If you're planning a Shopkins Birthday Party, we have the cutest free Shopkins printables to start your party. 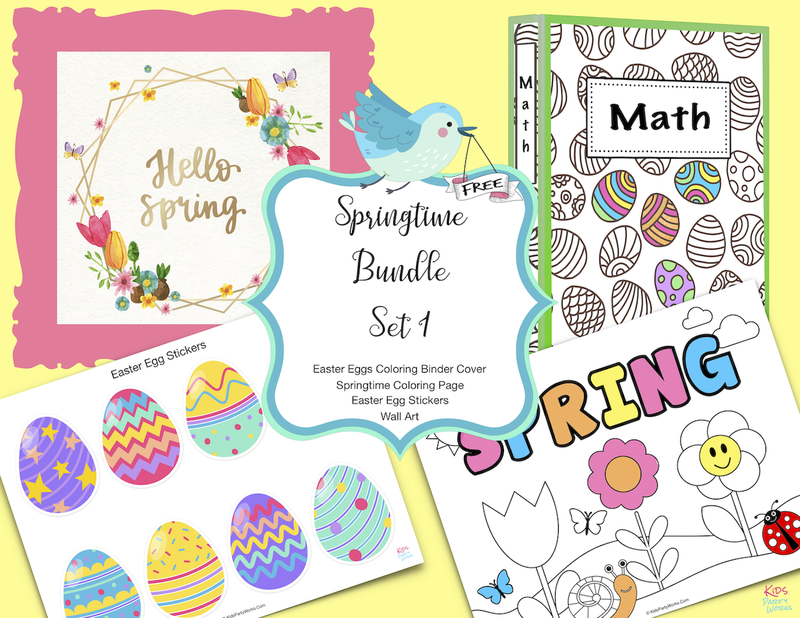 So come for a free shopping spree of Shopkins party ideas and printables. Let the planning begin! We made this adorable Shopkins invitation ready to fill out and give to your guests. Honestly, we could have just kept adding more and more confetti. Shopkins is such a bright and colorful party them and so much fun to plan. There are endless color combinations and patterns that pretty much anything goes. 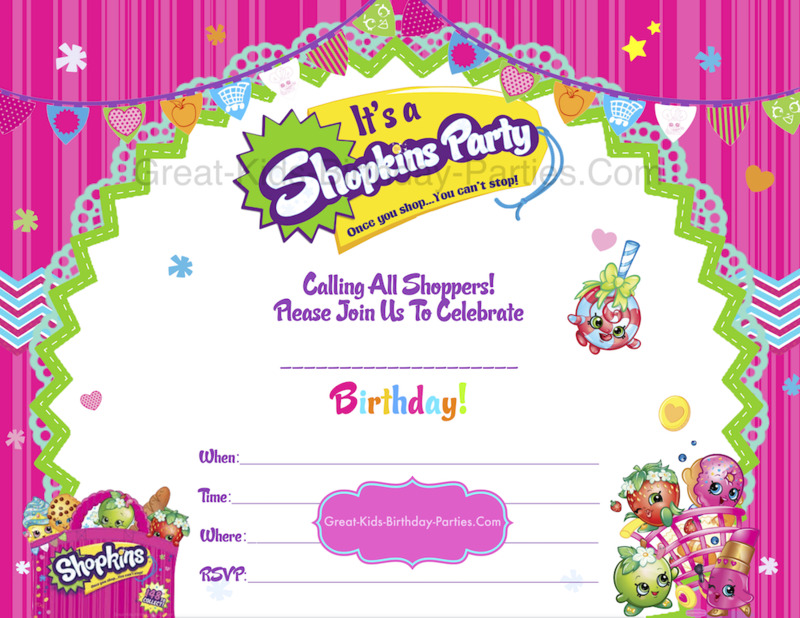 Our Shopkins invitations are approximately 5" x 7" size and print 2 per page. For added fun, add a small swirly lollipop (like Lolli Poppins). Remember to print on bright white heavy cardstock for the prettiest results. Oops! I got so excited that I almost forgot to put the download link. Here it is! We also made these coordinating thank-you tags to go with the invitation above. They print 12 tags per sheet. Download these Shopkins thank-you tags to use with your party favors. Print on bright white cardstock or if you want to use them as a sticker, print on repositionable sticker paper. 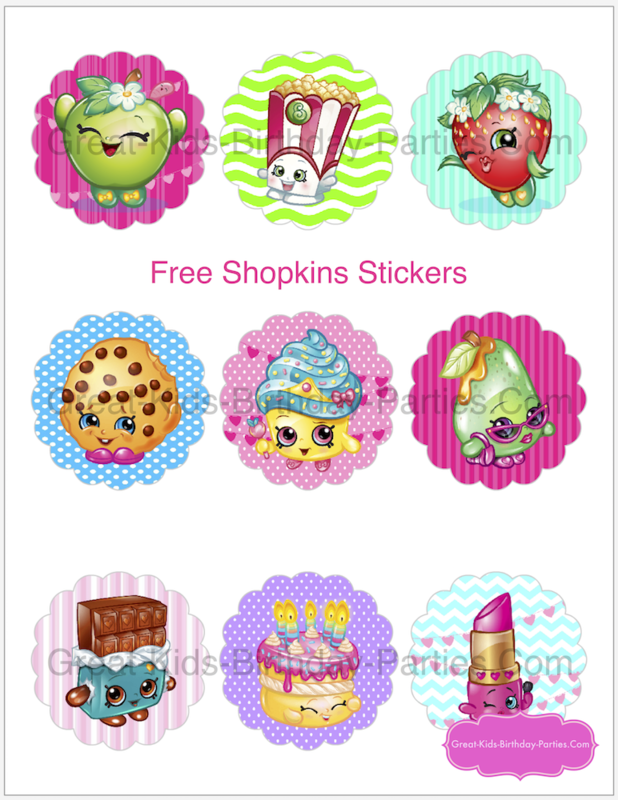 Shopkins fans will love these fun stickers! 9 different Shopkin styles. PDF prints to the edge so they will look a little funny unless you use the scallop sticker sheet or the scallop 2.5 punch. Use Avery scallop labels or a 2.5 inch scallop punch for best results. 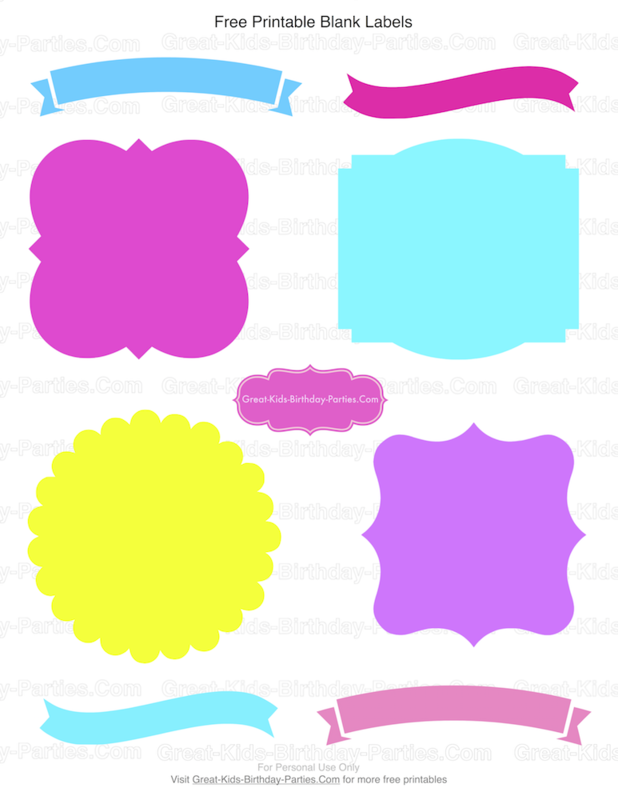 These Shopkins stickers can also be used as tags. 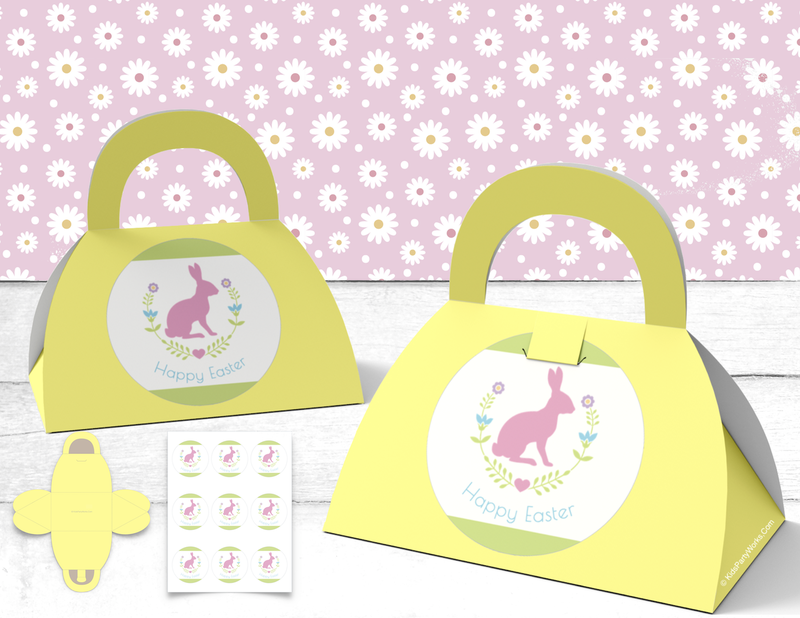 Just print on bright white heavy card stock, make a small punch hole and put string through. 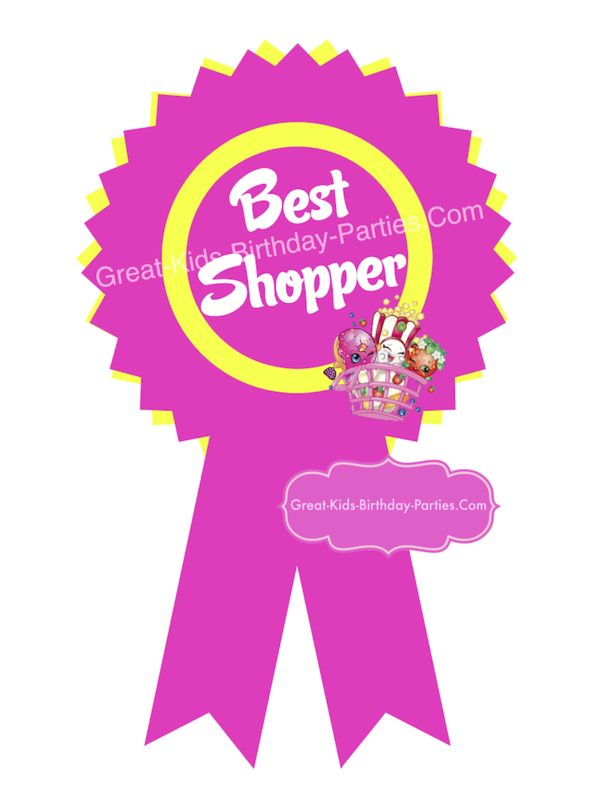 Cute Shopkins "Best Shopper" Ribbon. 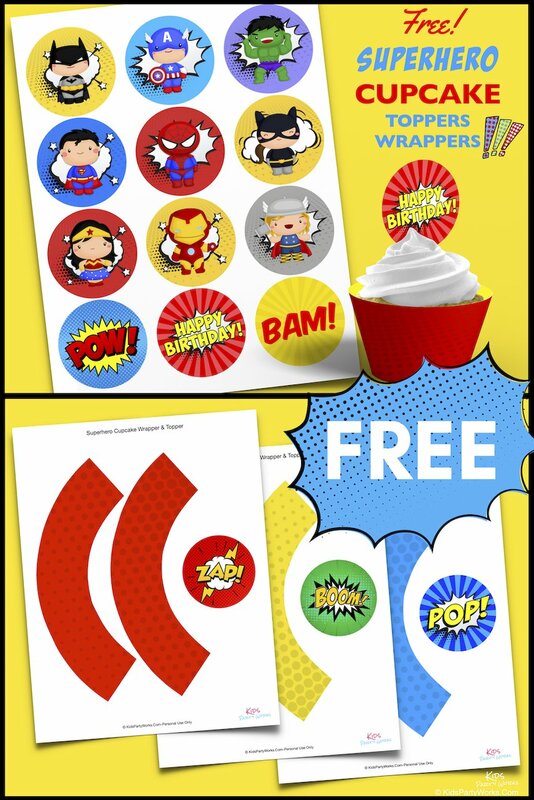 These are fun to give to every child as they finish a party game or when they first arrive. Prints 3 per page. Download our Shopkins printable here. 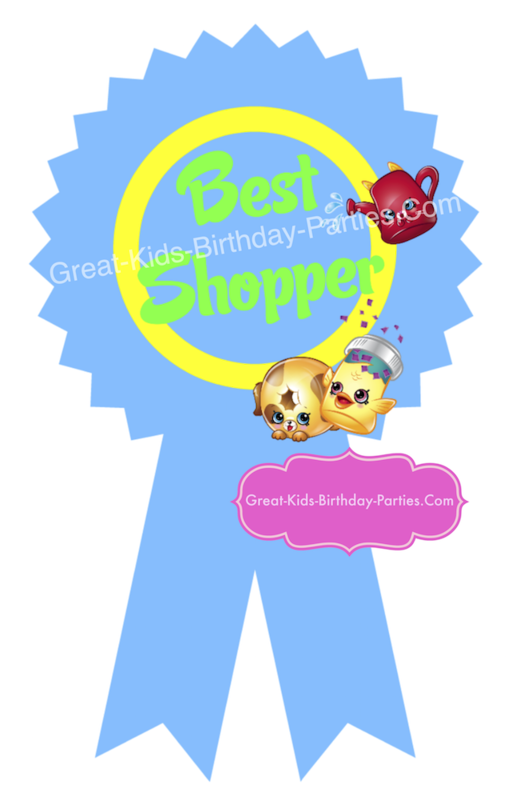 Download blue Shopkins ribbon here. Labels always make everything look prettier and fancier, so we made these fun labels in some of the many Shopkins theme colors. 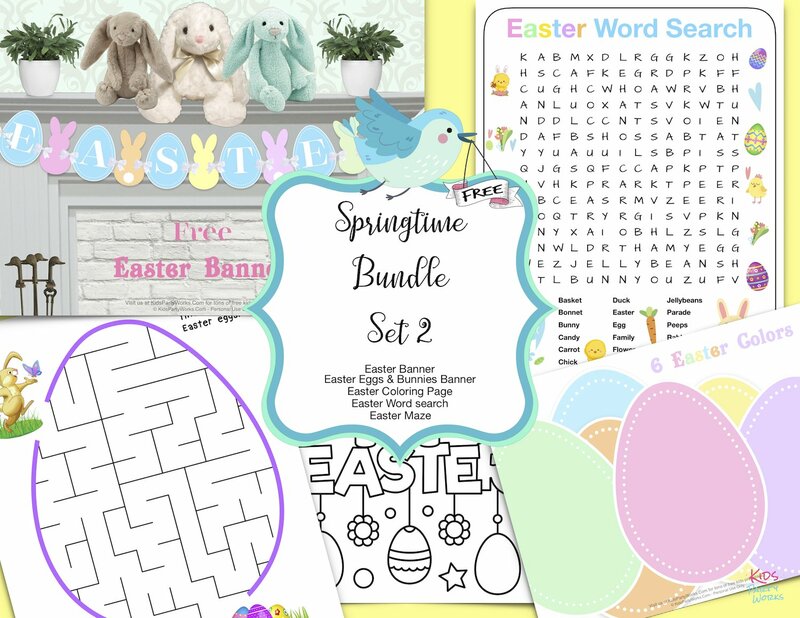 Now, we know they look very unassuming at the moment, so we used 2 of the labels and made a Shopkins tag and sticker to show you one of many possibilities. Scroll down. And here they are! Don't they look cute? For the tag, print on bright white cardstock paper and for stickers, use repositionable sticker paper like this one. Download this Shopkins party printable here. We couldn't resist to make a few more labels. 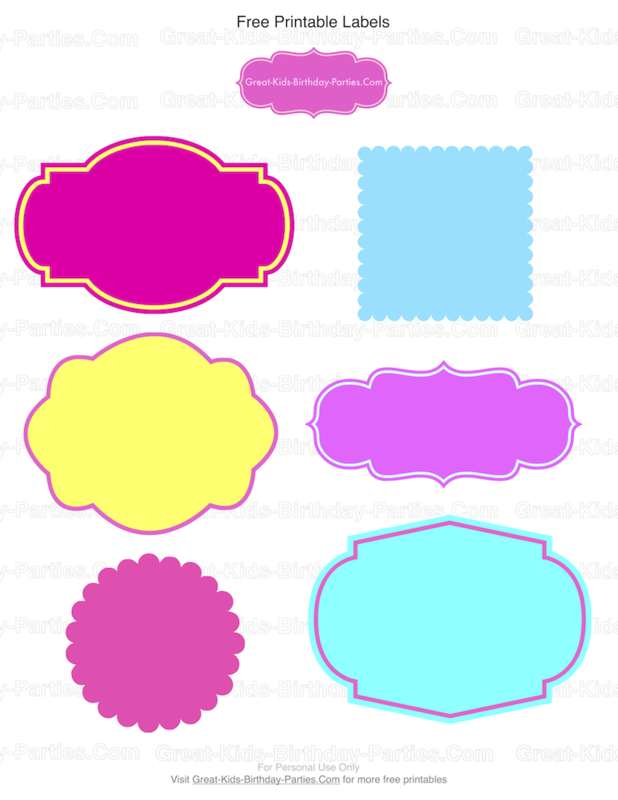 Print free printable labels here. Watch Ro make this Shopkins cake with colored fondant accessories, gum balls and sparkle dust. These easy to follow instructions turn out a beautiful Cupcake Queen cake. Check it out! Watch this awesome tutorial on how to make a Shopkins Ice Cream Kate cake. Warning - She is a pro! And makes it look so easy! 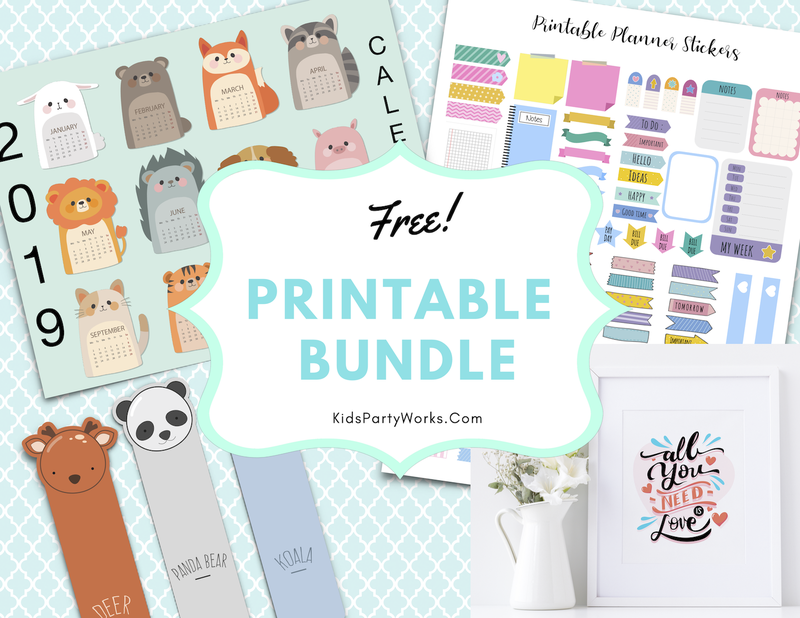 More Shopkins printables coming soon!